words to talk about are tentacles and invertebrate. Jellyfish have no backbone or no brain, but that's no problem. Discuss how the jellyfish catch food and protect themselves in a unique way, by ejecting toxins to ward off the enemies. The book Gooey Jellyfish, written by Natalie Lunis, may be used to study the jellyfish, in the series "Life Under the Sea". The children may design their own jellyfish to be hung around the classroom throughout the week, creating an under-the-sea environment. Each child will color a coffee filter, then lightly spray with water to soften the colors. Allow the filters to dry, then attach to a clear plastic cup, turned upside down. Glue around the edge of the cup, tentacles of long paper streamers. Pierce the cup and hang with a length of fishing line. Encourage art creativity by providing ideas using various painting medium, such as saltwater painting. Simply add 6 tablespoons of salt and 3 drops of food coloring to 1/4 cup of water. When the "paint" has dried, only the salt remains. The children may design ocean pictures by painting a sheet of white paper, then gluing pictures of fish or sponging on fish shapes. Always praise and display their artwork. 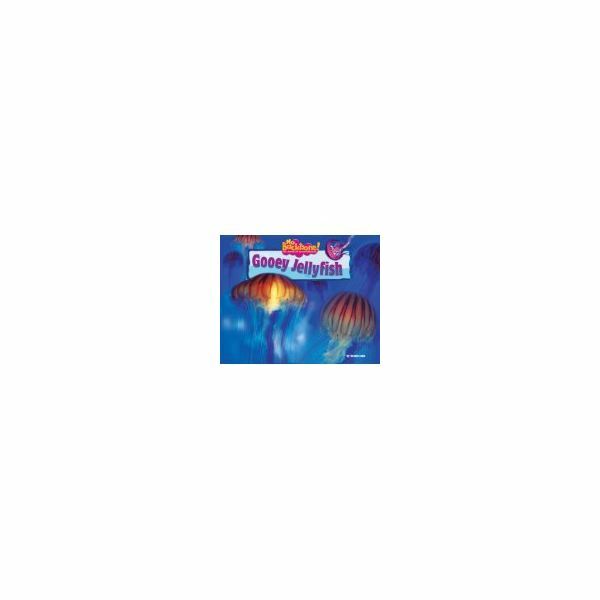 The children will be surprised at snack time when you prepare ahead of time mini-aquariums for each child. In partially set blue Jello, place a few gummy fish in a clear plastic cup. Create a little interest to the classroom by adding props. A clear or transparent umbrella can be used to design a life-size "jellyfish" for added entertainment. Attach plastic iridescent streamers with clear tape to the spokes and edge around the umbrella. The children may "earn" the prop when correctly answering during math or phonics games. Age-approriate jellyfish worksheets may also be used to learn more about the jellyfish. The one provided hdere is from the University of Southern Missouri. DLTK-kids.com. Jellyfish Coffee Filter Activity. EnchantedLearning.com. Jellyfish in a Cup.